For serious plowing performance in extreme weather environments, Freightliner® severe-duty snow-plow trucks meet the toughest demands of winter snow removal. Getting the job done gets easier with important features like front-frame extensions, optional air-intake snowshields, crossmembers for wing-plow support and extreme-climate thermal cab insulation. 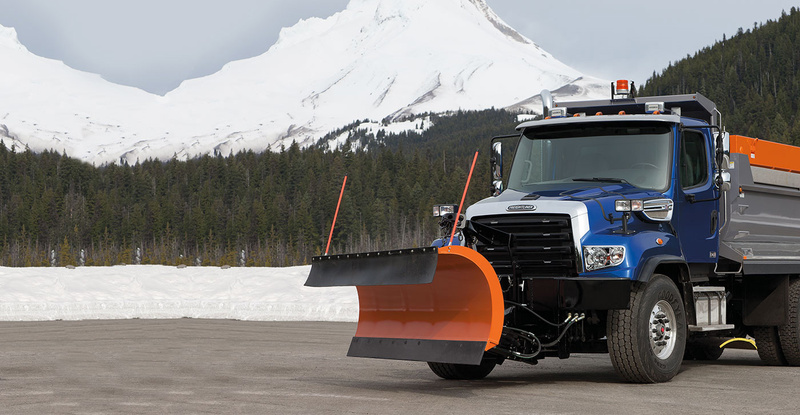 Delivering a serious snow-plowing truck that combines best-in-class visibility with enhanced maneuverability for tight squeezes, driver-comfort enhancements and tons of other industry-specific innovations, Freightliner plows through the toughest weather and the competition.